While cannabis is conventionally thought as being a psychoactive drug, modern research is now showing the variety of benefits provided by non-psychoactive cannabinoids, such as CBD. While all cannabinoids can be activated by smoking, many of their properties can be activated topically as well. It is no surprise that more and more patients are choosing cannabis-infused topicals for relief. Topicals refer to any type of product that is applied to the skin. While transdermal medication is meant to affect the entire body, topicals are meant to work locally in the region that they are applied. Cannabis-based topicals refer to any lotions, balms, oils, sprays, or patches that are applied to the skin. Believe it or not, brands are coming out with lubricants as well. Patients looking for medical benefits should take care in picking the products right for them, as topicals must have high doses of cannabinoids to be effective. While hemp oil also can be healthy for the skin due to its fatty acid content, many online websites exaggerate the effectiveness of hemp oil in order to sell their products. As cannabis becomes legal in more states, it will be easier to find reliable topicals to suit a variety of needs. How do cannabis-infused topicals work? Topicals extracted from marijuana can be a great solution for dealing with inflammation, pain, and soreness. While the clinical research on topicals is extremely limited, they may also help with arthritis, psoriasis, dermatitis, and itching. There is significant evidence suggesting that the cannabinoids have strong anti-inflammatory properties, due to multiple pathways. While topicals do not get you high, cannabinoids such as CBD and THCa provide great pain relief when applied locally to the skin. 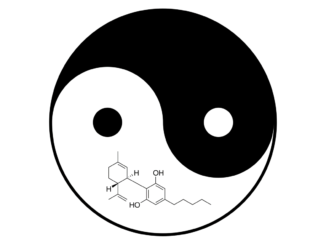 The cannabinoids are known to primarily act through the CB1 and CB2 receptors. While the majority of the CB1 receptors are within the human brain, CB2 receptors are also spread throughout the entire body. It is often stated that THC acts on the CB1 receptors, while CBD acts on the CB2 receptors, but this is a bit of an oversimplification. Research shows that CBD acts on more than the CB2 receptor alone. For example, CBD acts on opioid receptors and the TRPV1 receptor, both of which also contribute to the anti-inflammatory properties. Multiple synergistic pathways are what makes cannabis such good medicine. Topical medications would not allow for drugs to enter the bloodstream, but the CB2 receptors can still be activated topically. The synergy of other cannabinoids, such as THCa, also improves the medicinal efficacy. Most tinctures do not decarboxylate the plant, which is what turns THCa into THC. For this reason, many tinctures are full of THCa, which is a happy coincidence, as THCa is great for pain control. As time goes on, expect to see topicals to become more popular. As more research is done and more states continue to legalized medicinal cannabis, more cannabis-infused topicals will be available. Where can you order cannabis topicals online? When it comes to ordering cannabis topicals online, there is a definitive choice: RxCannacare. Their suite of canna cosmetics includes CBD topicals such as lotion and scrubs. They even have anti-aging retinol cream. In partnership with an FDA registered and CGMP certified facility, RxCannaCare is one of the more trustworthy cannabis topical companies — their cannabis is all lab tested and checked for inorganic fungicides prior to being used to create their skincare products. How do I order from you guys?? You can sign up at https://www.woahstork.com and we will re-launch our marketplace later this summer. You can sign up at http://www.woahstork.com !